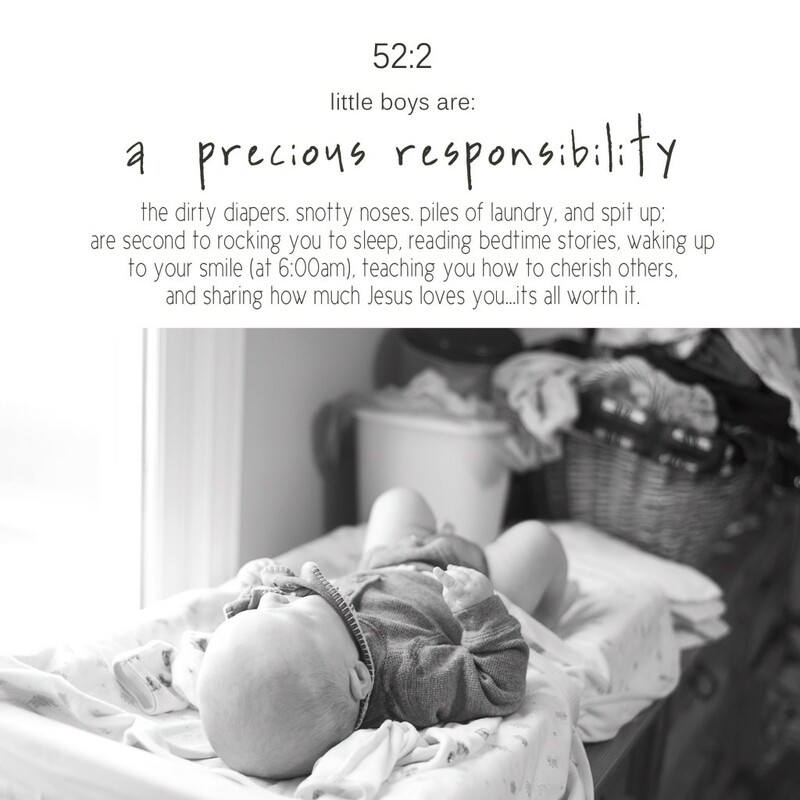 Little boys are a responsibility. A precious responsibility that is. I was torn this week as I contemplated the concept of responsibility, which was a suggested topic for week 2 over at Paint the Moon. Responsibility can be defined a few different ways- the duties and burdens or the position of responsibility. I chose to play a little on both. As a mom I have way more obligations and duties then ever before, but I am also in a position to mold and shape the person that Levi becomes. Or at least instill in him values in hopes that he will choose to live with integrity- to become responsible for his choices and actions, and above all to love the Lord with all of his heart, soul, and mind. Levi, you are a precious responsibility and a joyful responsibility. One I hope to fulfill to the best of my ability.